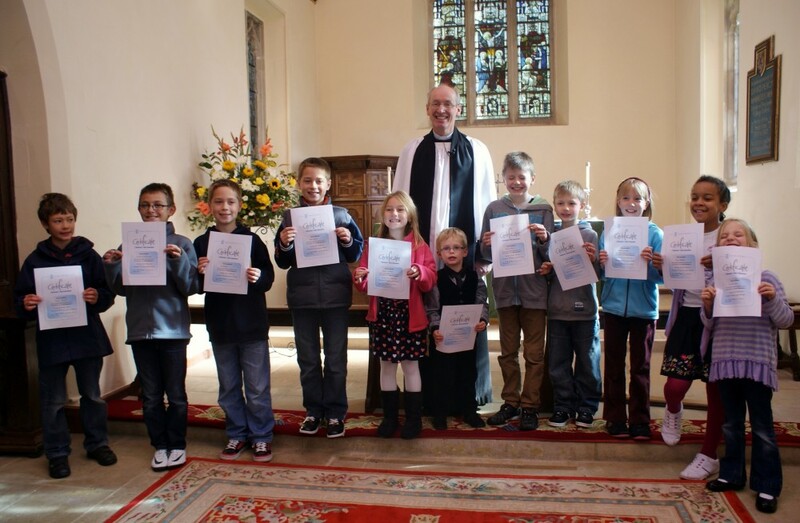 Children are very welcome at All Saints and we try to involve them fully in the life of the Church. We hold a children's and young families service every 2nd and 4th Sunday at 9.30 am which is an active service for the whole family! We aim to be about 30 minutes .This is followed by refreshments before a 10.30 service . # check calender. Creche for under threes and Parents in Church on Sundays. J Club (previously known as Sunday school) for children 3 to 10 years old.Every 1st, and 3rd Sunday. We help take assemblies, Tudor Roberts, and David Cain mainly in Lydiard Millicent C of E Primary School(Including at Ridgeway Farm C of E Primary School) but also in Peatmoor School which is in the Parish.Some of us are also happy to do RE lessons or teach a session on what Christians believe or the Bible or do a question and answer session.Just ask.Amongst us all we can also do pre 5 year old groups, puppetry and clowning and magic.! or simply an "everyday" assembly. Please note details of the Diocese of Bristol's Child Protection Policy is available on their website (see links) A hard copy is also available for you to look at in Church, in the Creche area.We have two Chidren's advocates/champions to whom children and young people can go without recourse to anyone else,Mrs Jill Bourne and Dr Julian Wright.Our Safeguarding Officer for Child protectection is Mrs Tanya Stobbs.More information is on Bristol Diocese's website.The Diocesan safeguarding Advisor, based at the Bristol Diocese's Offices can be contacted on 0117 906 0100. Our own ASLM Child protection policy is now published 2 hard copies are available in Church and you can locate it on this website under the page on this website "Who are we" part of "About us".